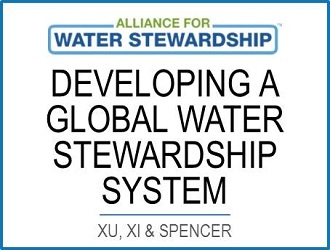 Michael Spencer is Chair of the global Alliance for Water Stewardship and Secretary of Water Stewardship Australia. He is a former Head of Marketing and Communication at the FSC International and was the founding CEO of the FSC in Australia. In his corporate career he was the first Head of Corporate Citizenship at National Australia Bank, served as Vice President Communication at BHP Billiton, Vice President Corporate Affairs at BlueScope Steel and Senior Advisor to the Premier of Victoria. He is a Fellow in the Department of Business Law and Taxation at Monash University, teaches communication at RMIT University.